Update: Product Dartboard is now digital. Create your Dartboard account here! Some projects go so well you want to bottle them. Others, not so much. A few months ago, I started surveying our projects from the last three years. I was looking for patterns of success and … less success. I had heard people say that there wasn’t much of a correlation between projects that were successful for Carbon Five and products that were successful in the marketplace. That felt simultaneously plausible (lots of products fail, but that doesn’t mean it was a horrible project) and unlikely (it doesn’t make us happy to work on things that don’t succeed). I asked C5ers to grade projects based on how well the project went. Then I recorded whether the product had been a success (as defined by the client). It turned out that there was actually a pretty strong correlation between projects we graded higher (A or B) and products that had succeeded. And projects where the C5 team was dissatisfied often resulted in unsuccessful products. Once I saw this, I wondered: how might we increase the likelihood of success? Is there some way we could predict successful outcomes and try to make all our projects look more like the great ones? We’d have more fun and our clients would enjoy more success, in theory. But was it possible? And the answer is … maybe! There’s lots of research out there about what makes projects and products more likely to succeed. 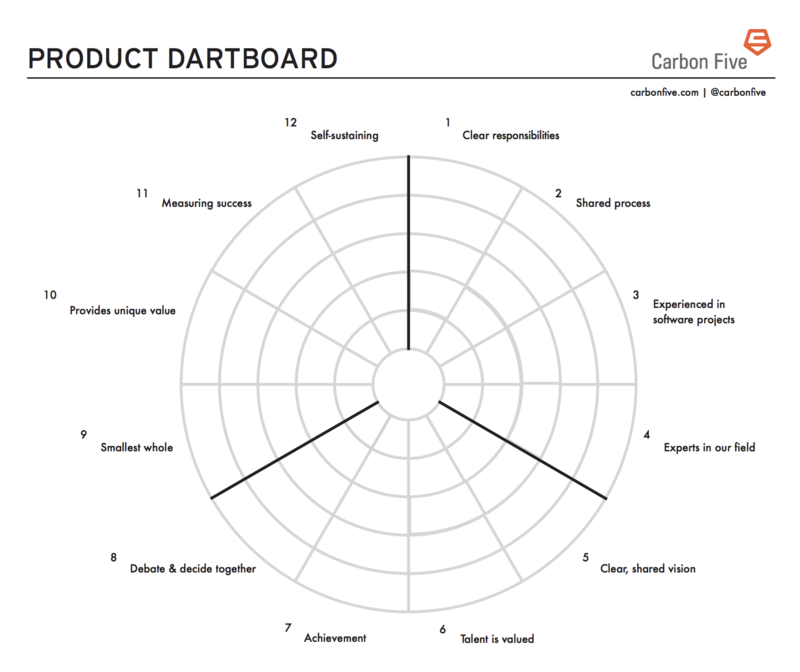 I used some of this work to create the Product Dartboard, a tool that assesses a team or individual against attributes associated with project success. The Dartboard is based on a spider chart or circumplex graph (like this one from the Guardian). It has 12 dimensions, each of which has been correlated with project/product success by independent research conducted by real researchers (see references below). Structurally, the dartboard roughly follows the ‘I-We-It’ framework as described by Fred Kofman. You don’t need to be familiar with that framework, or even think it’s useful, to use the dartboard. The basic idea is that product, team and personal aspects of an organization are all equally important to success, which is why they get equal space on the dartboard. Each dimension on the dartboard is expressed as a statement. When completing the dartboard, the individual assesses the extent to which they agree with that statement. There are five “positions” for each dimension, so if you want you can arrive at a quantitative expression of the results. Clear roles: Roles and responsibilities match skills and abilities of the team. Team members understand what is expected of them. Understand process: The team has a process and all members have a shared understanding of that process and a say in the evolution of the process. Experienced in software: The team has experience working on software projects similar to this one. Experts in our field: The team includes experts in the subject matter of the product. Clear, shared vision: There is a vision for this product and it has been clearly communicated. Team members have a shared understanding of what they’re trying to achieve. Talent is valued: Team members feel that the work they do is respected and their contributions to the work are valuable. 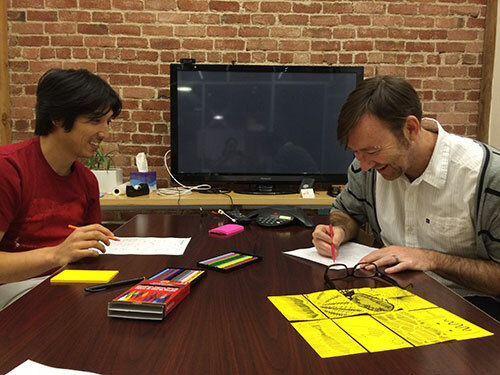 Challenge: Team members feel challenged by their work and think the work is important. Debate and decide together: People on this team give their opinions and the team debates different options and makes decisions together. Definition of MVP: Our team is committed to building the smallest whole and releasing it to real users. Understanding of UVP: The team can articulate the unique value proposition for this product, ie, the thing that will make users choose this over other options. Metrics: We know how to focus on one success metric at a time. Product/market fit: We know that we are in a good market with a product that can satisfy that market. This is designed as a self-reporting tool. It reflects where the team feels they’re at. 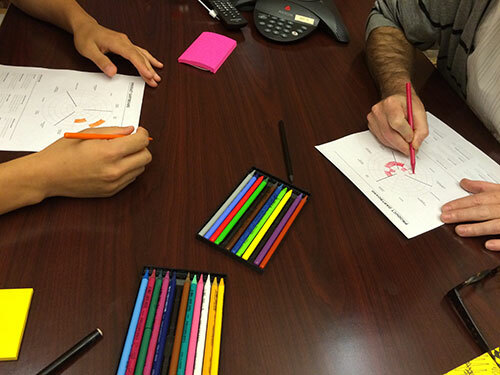 To complete it, hand each team member a copy and set out some colored pencils. Personally, I like the tactile nature of this, though others at C5 are just itching to build a digital tool! Have team members color the segment that represents how strong they think the team is in that area. It’s a dartboard; the bullseye is in the center. Closer to the bullseye is higher agreement with the statement. Further away is less agreement. If you’re after a quantitative score, make the innermost segment a 5, and the outermost a 1, so that a higher score is better. There are a few different ways we’ve used this to change the way we manage a project to maximize the likelihood of success. You might think of more — share them in the comments! To learn about the team. One thing that we’ve found very helpful is listening to teams as they discuss their responses. Regardless of what ends up on the piece of paper, generating these conversations is invaluable. You’ll hear where teams do and don’t agree. You might hear their fears about their ability, or the market. If you’re paying close attention, you’ll probably notice areas where they’re over-confident, too. To plan a project. 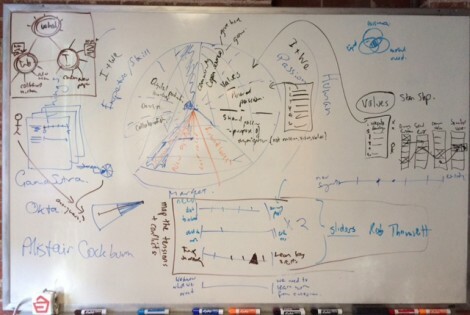 Our business development team created a product dartboard for a prospective client in early meetings. They had already pitched a particular project approach with a small team of developers and designers. But after looking at the dartboard and seeing some of the areas in the outer ring, they decided to add a Product Manager to the mix. When they proposed it, the client was extremely open to adding the role; they recognized that it would help them deliver a better product. Even if you’re not a client services company, you could use it to plan team membership for your internal projects. To focus during the project. On a recent project, we had a client who had plenty of strengths, but very little experience in software. This is a pretty common scenario for Carbon Five; we attract clients who are subject matter experts in their industries but may not have a technical founder. This team rated themselves low on their understanding of the process. We always spend plenty of time working on the process; most teams haven’t used the exact Agile XP process we favor. In this case, though, it was the lowest rated thing on the dartboard. I pointed this out to the team, and we made an explicit agreement to focus “product” on getting everyone up to speed on the process for at least the first week. At the end of that time, we checked in. After working with the tools and engaging with the dev team, their Product Owner was absolutely comfortable with the process. We reviewed the dartboard again and agreed that, while we would still run into process questions, we had established a foundation. We were ready to move on. For morale building and reflection. We like to use this tool during kickoff and then repeat it half way through and at the project close. We’ve seen that it gives teams a real boost when they compare their kickoff dartboards with their midpoint ones. People love having tangible evidence that they’re heading in the right direction. We have plenty of tools for that when building products, but they tend to be about the product. This one’s about the team. It feels like a pat on the back when it goes the right way. And if it doesn’t — well, then you have something to talk about. I’ll be honest with you. This tool is new. We haven’t used it enough to know if it actually increases our success rate. What we do know is that it has helped Carbon Five and several of our clients to identify areas we need to tackle, and to measure how we feel we’re doing. If you try it, we’d love to hear about how it went for you. I presented it as part of a talk Jeremy Morony and I gave at MagmaConf 2015 and there were plenty of interested people. Hopefully they’ll share what they learn! Many thanks to Nigel Dalton (@nxdnz) for brainstorming initial concepts for the dartboard, and to Elias Crouch (@newdogbed) for designing a thing of beauty and usefulness.